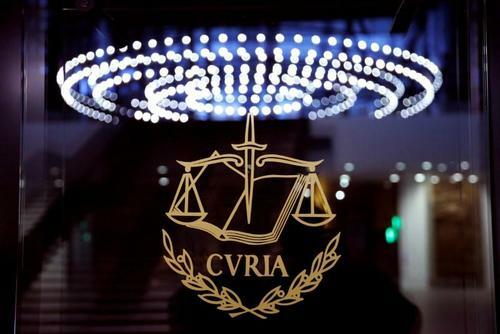 Reuters UKThe European Court of Justice (ECJ) will have no future role in interpreting British laws after the country leaves the European Union, Britain's Brexit minister David Davis said on Thursday. 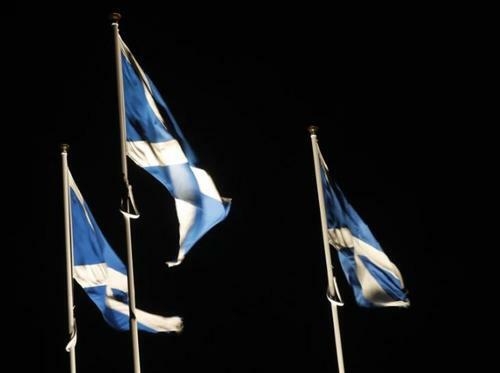 Reuters UKBrexit may not be a game-changer in the debate about Scottish independence, according to research published on Thursday that suggests Scots want similar outcomes as other Britons do from the United Kingdom's exit from the European Union. The insurance marketplace is creating a new company in Brussels. Yet safeguarding access to European clients only means moving a maximum of a tenth of staff. Read more of our Breakingviews piece about London's phantom Brexodus. PM said in A50 debate today that she is 'determined to meet' the Labour tests I set out on Monday for Brexit deal: we will hold her to this. Reuters UKThe British government will set out plans on Thursday to convert European Union laws into domestic legislation to give "businesses, workers and consumers the certainty they need" as Britain exits the bloc. Reuters UKTop French financiers will travel to the United States in May to try to attract U.S business to Paris following Britain's decision to quit the European Union. French President Francois Hollande told Theresa May on Thursday that Brexit negotiations must first deal with how Britain will leave the bloc before talks could be held on Britain's future relations with the EU, his office said. 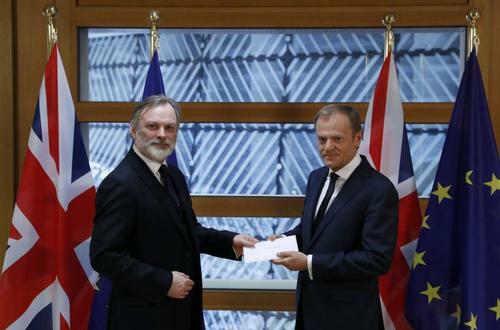 The outgoing French president told May in a telephone call that the negotiations must be held in a "clear and constructive manner, so as to lift uncertainties and to fully respect the rules and interests of the 27-member European Union." "The President indicated that the talks must at first be about the terms of withdrawal, dealing especially with citizens' rights and obligations resulting from the commitments made by the United Kingdom," a statement from Hollande's Elysee office said. 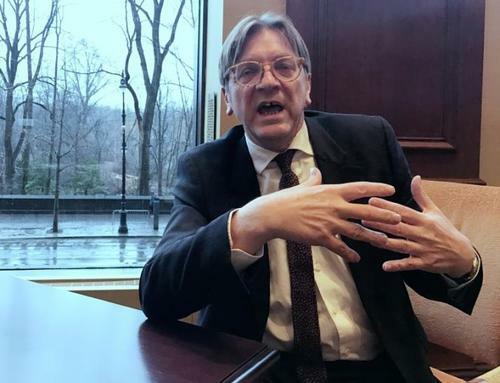 "On the basis of the progress made, we could open discussions on the framework of future relations between the United Kingdom and the European Union," it said. Brussels expects to lure other financial players after convincing Lloyd's of London, the world's largest speciality insurance market, to make the city its post-Brexit European hub. While Lloyd's choice on Thursday surprised some, lower rental prices and its proximity to Britain could help other financial firms choose the multilingual home of the European Union over Dublin, Frankfurt, Paris and Luxembourg. 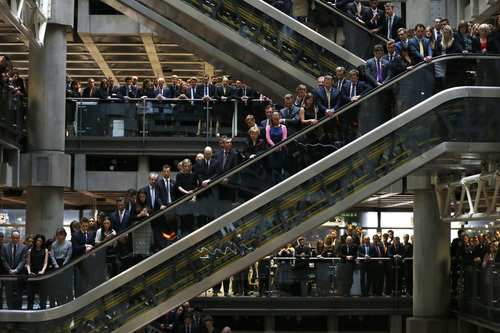 Lloyd's is expected to move fewer than 100 people, but other insurers needing an EU subsidiary to keep access to the single market after Britain leaves the bloc may follow. Lloyd's has long been a magnet for insurance underwriters, most of which are clustered around its landmark building in the City of London. "From our contacts with consultancy firms we have learned that several companies are interested in Belgium," a spokeswoman for Belgium's financial sector federation Febelfin said, without specifying which companies or sectors had expressed an interest. Reuters UKVolkswagen's (VOWG_p.DE) emissions scandal has reduced the German auto industry's political clout, hampering its efforts to lobby for continued tariff-free trade between Britain and the European Union, the chief executive of auto supplier ZF said. 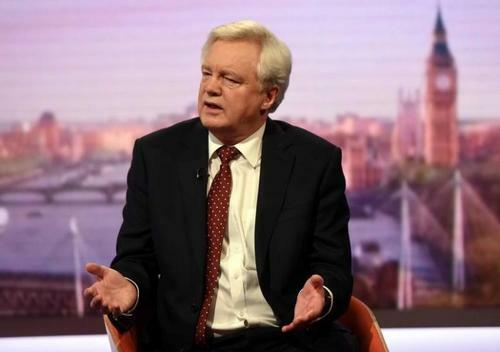 Reuters UKBrexit minister David Davis said he did not expect Britain to have to pay 50 billion pounds ($62 billion) to the European Union as part of the Brexit process and said the era of huge sums being paid to Brussels was coming to an end. 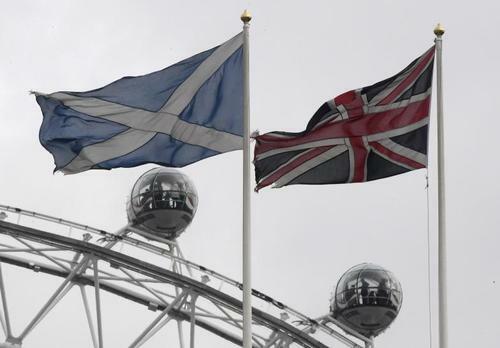 Reuters UKS&P Global saw no surprises in the launch of Britain's divorce from the EU, and nothing has happened in recent months to make the agency rethink its negative rating outlook on the country, its top sovereign analyst said on Thursday. 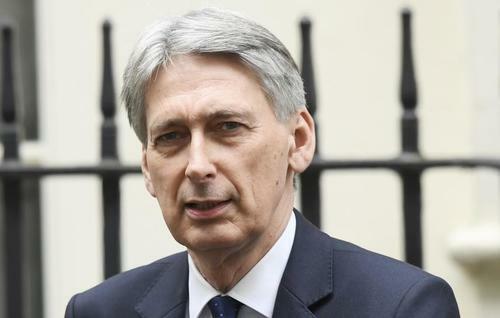 Reuters UKBritain's finance minister Philip Hammond is to visit his German counterpart Wolfgang Schaeuble in Berlin on Thursday, a day after the British government formally started the process of leaving the European Union, a German ministry spokeswoman said. 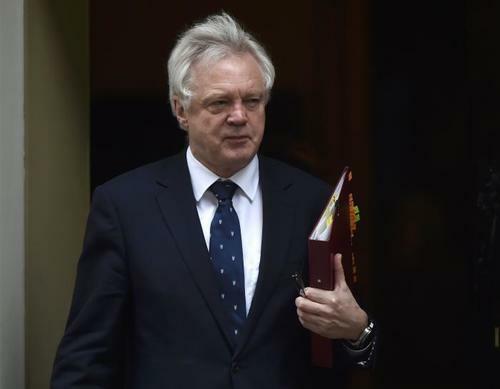 Reuters UKBritain was in not seeking to threaten Europe when it said cooperation in fighting terrorism would be weakened if it left the European Union without a comprehensive deal, Brexit minister David Davis said on Thursday. Reuters UKThe European Parliament said in a draft position paper on Wednesday that Brexit can be revoked. Britain's FTSE index of leading shares closed higher on Wednesday after a choppy session following the formal triggering of its departure from the European Union. Reuters UKPrime Minister Theresa May formally began Britain's divorce from the European Union on Wednesday, saying there was "no turning back" from a decision pitching her country into the unknown and triggering years of fraught negotiations. 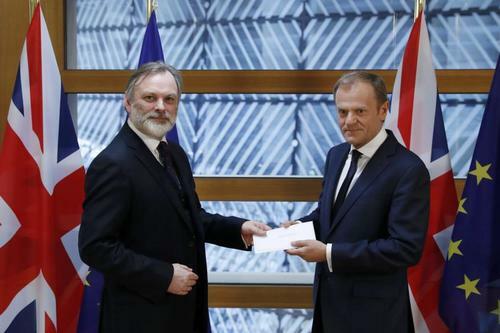 ReutersBanks in Britain have tried to reassure their London staff over possible Brexit disruption, including a shift in jobs to continental Europe, as Prime Minister Theresa May triggered formal EU divorce proceedings on Wednesday. 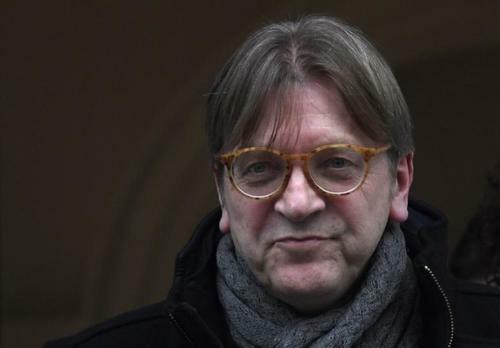 Reuters UKThe two-year Brexit negotiations should produce a divorce deal as well as an "agreement on general terms" of the future relationship between the EU of 27 and London, the European Parliament's chief negotiator said on Wednesday. Sterling recovered earlier losses and Britain's top stock index gave up gains on Wednesday as traders pointed to reports the European Union will likely strike a conciliatory stance when responding to Britain's formal request to leave the bloc.